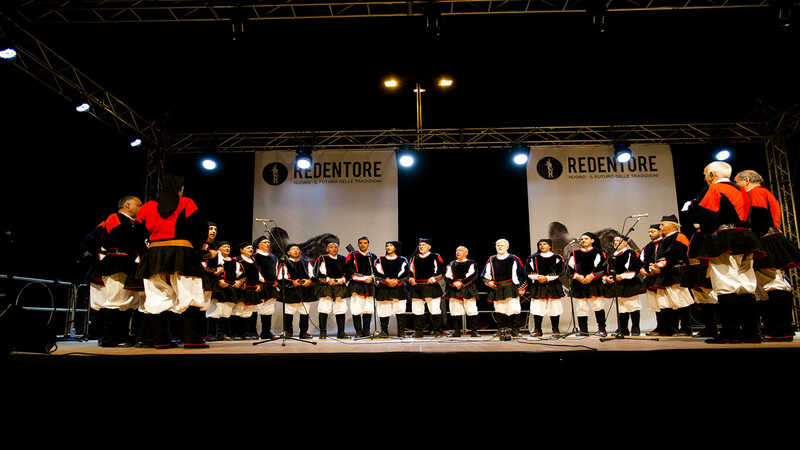 With its impressive appearance and curious shapes, Ortobene stands at the gates of Nuoro, a few kilometres east of the city. The massif is almost a thousand metres high, dotted with peaks and towers in strange shapes that sometimes appear like humans, sometimes animals.Its 1600 hectares have been inhabited ever since prehistorical times, and offer infinite landscapes: high, granite rocks tower solemnly over valleys. 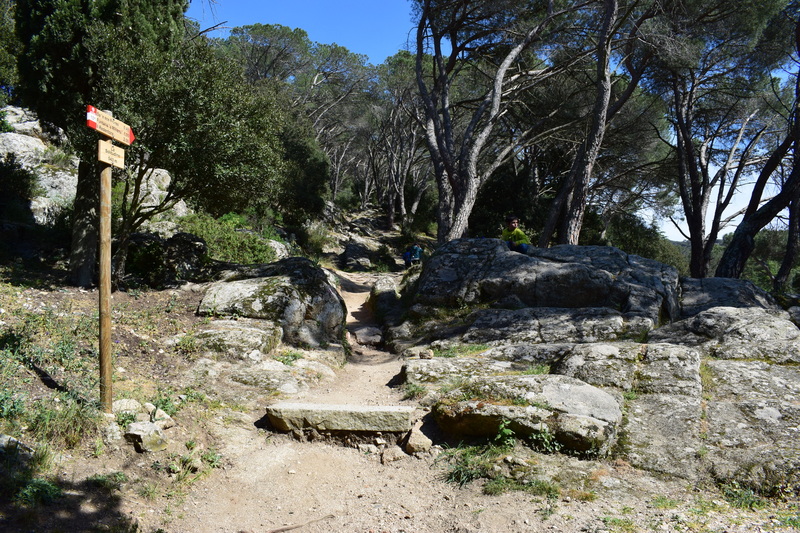 Here you can go climbing, or follow marked paths through dense forests of holm oaks interspersed with downy oaks, cork trees, holly and Mediterranean brush: cistus, strawberry trees, lavender, mastic and juniper. Orchids flower in the meadows, while the forest floor close to the springs is coloured by cyclamens, ferns and various types of mushroom. The mountain is home to mammals (wild boars, weasels, hares, pine martens and foxes), birds of prey (royal eagles, goshawks, peregrine falcons, buzzards and sparrowhawks) and other birds (partridges, turtle-doves and sparrows). In the past, there were also deer, mouflons and vultures. Mount Ortobene is framed by rivers to the north and south, including the River Cedrino, and valleys to the east and west, characterised by pre-Nuraghic remains such as the three domus de Janas of Maria Frunza, sasVrighines and Janna Ventosa. The ruins of the churches at saItria and santuJacu are more recent traces. The mountain peak is known as CuccuruNigheddu (955 metres), a panoramic point that looks from Mount Albo all the way to the Orune plateau.Explore deeper into the parks and visit SeddaOrtai by bicycle or skates, in the cool offered by pines and conifers, and admire a mushroom-shaped rock: sa Conca, a sheepfold carved out of an enormous rock. The park of Solotti, near the Casa Diocesana where spiritual retreats are held, is also of great interest. 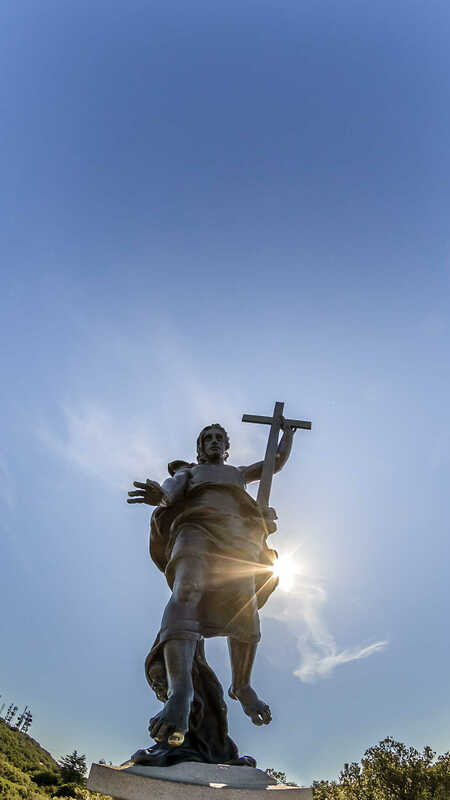 The park most closely associated with the mountain is at its peak: the Redentore, dominated by the statue by Vincenzo Jerace (1901), which is visited at the end of August each year by the Sagra del Redentore procession. 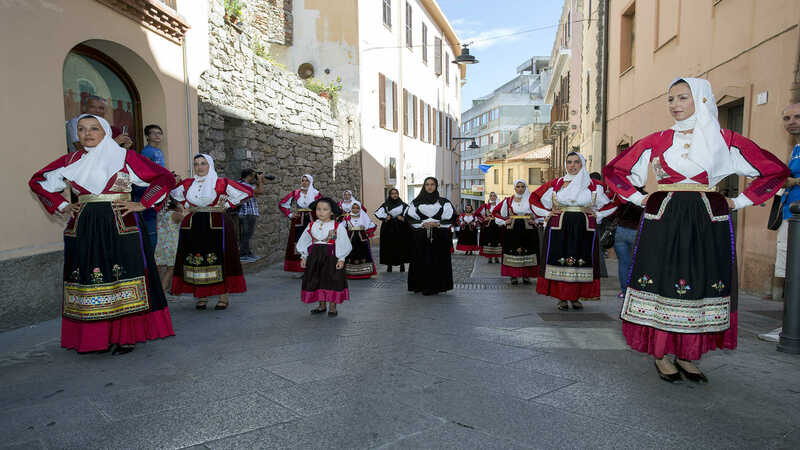 Meanwhile, the city is a whirl of costume processions, singing and traditional dances from all Sardinian towns. As you descend, admire the valleys and mountains of Oliena, and on a clear day you can see as far as the blue gleam of the sea at Baronìa. The mountain has always been dear to the Nuoresi, and especially to Grazia Deledda. 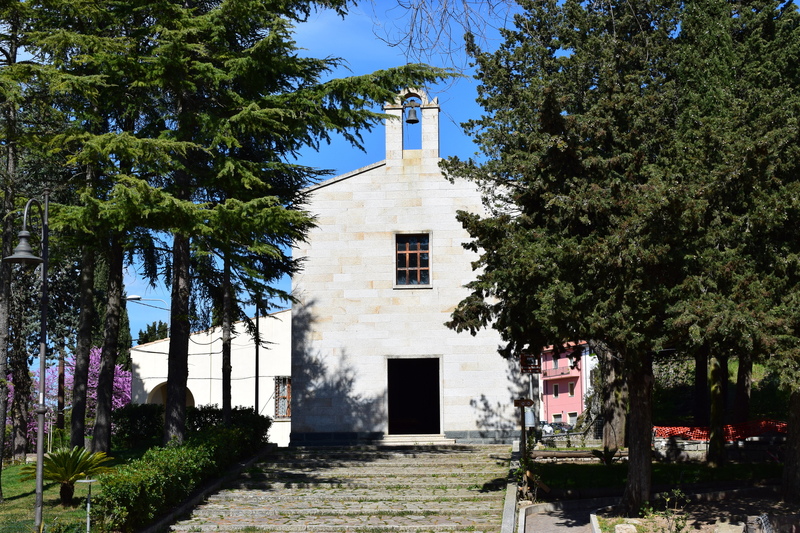 From 1959 to 2007, the writer's ashes were held at the Chiesetta della Solitudine, the symbol of the area, built in the mid-20th century on the site of a 17th century church. Monte Ortobene rises on the outskirts of Nuoro, and can be easily reached by taking Viale Ciusa, on the east side of the city.